With several thousands of possible head and shaft combinations, Club Champion, a company that takes club fitting to a new level, is a dream come true for any golfer wanting to maximize distance and accuracy from his or her driver swing—and it's simple to do. In my case, the 90-minute driver fitting session not only resulted in a driver giving me more yards from matching up launch angle and ball spin but, just as importantly, less dispersion left and right. That all translates into being in the short grass more often and closer to the green. The big benefit (beyond the distance induced ego boost) is having approach shots with one to two clubs less than before. Put another way, day in and day out I have confidence I will hit more greens and be closer to the pin with an 80-iron compared to a 6-iron and so will most all players. In effect, I'm now playing a shorter course. 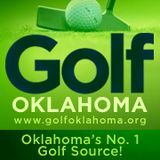 Club Champion has 11 locations, with the closest to Oklahoma being in Dallas and it's worth the drive. Needless to say, after a fitting session with Trackman the specifications for your new driver can be matched spot on and Club Champion guarantees a perfect fit or they will fix it or replace it. Stumph went on to explain two very important concepts. First, since they are not working for a club manufacturer they are able to use any clubhead from any manufacturer. And the same is true for shafts. Secondly, just as with touring professionals, Club Champion's experienced knowledge staff can use the data from the Trackman to create the club that best fits your swing. For example, my smash factor with my driver was 1.45, but with a different head/shaft combination it went up to 1.50—a quick and easy way to gain distance with my same old swing. Secondly, just as with touring professionals, Club Champion's experienced knowledge staff can use the data from the Trackman to create the club that best fits your swing. For example, my smash factor with my driver was 1.45, but with a different head/shaft combination it went up to 1.50—a quick and easy way to gain distance with my same old swing. A driver fitting session costs $150, a modest investment for better drives and just maybe some bragging rights with your buddies.